Cook noodles in boiling water 2 to 3 minutes; drain and rinse with cold water. Drain well. Meanwhile, in small bowl, stir lime juice, fish sauce, peanut butter, sugar, gingerroot, soy sauce, oil and garlic with whisk until smooth; set aside. 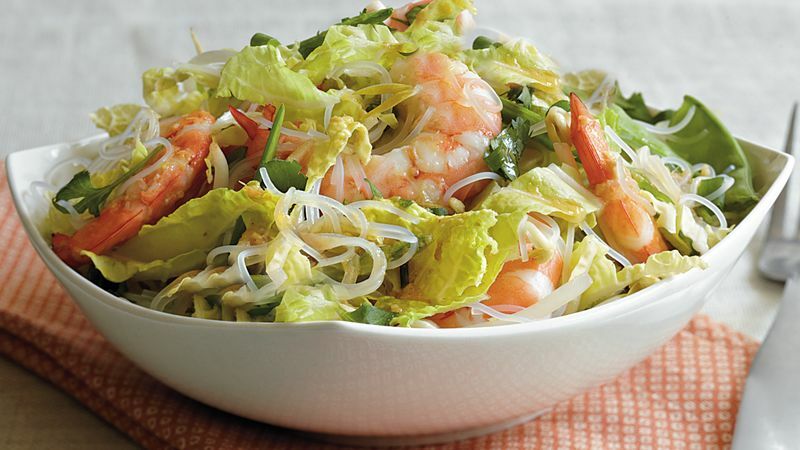 In large bowl, stir together noodles, cabbage, shrimp and pea pods. Add dressing; toss well. Sprinkle individual servings with onions and cilantro.